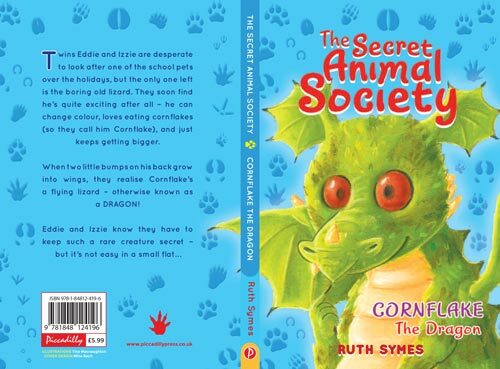 First, CONGRATULATIONS to Evie, Anna and Hayley for winning copies of ‘Cornflake the Dragon’ written by my Ruth Symes self and Martha, Helen and Rhian for winning copies of ‘The Hero Pup’ written by the Megan Rix me. I’m so sorry I didn’t get to say congrats before (although the books should be with you by now) but I was on tour. And so…. 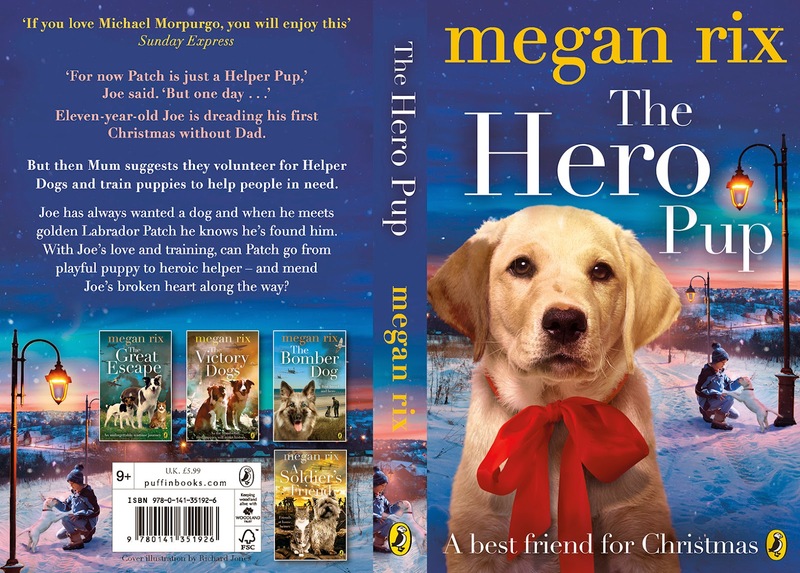 HELLO and big THANKS to Chandlings, Thomas Reade, St Monica’s, St Mary’s, Peterborough Central Library, Peterborough School, Newark Academy, Gresham’s, Colman Juniors and Poplars plus all the extra schools that were invited along and the guide dogs, hearing dogs and medical alert dogs that came with their handlers – you made ‘The Hero Pup’ book tour fantastic. My own dogs Traffy and Bella would especially like to thank hearing dog, Dino, for the dog treats he gave them and let him know that they found them very fine indeed. Travelling between two events each day was sometimes smoothe and sometimes scary. One taxi diver was determined to overtake everyone on the road even when there were lorries rushing towards us from the opposite direction and when a caravan got in our way he jumped out of the taxi so he could have a shout at him. We were really really pleased when that journey was over! 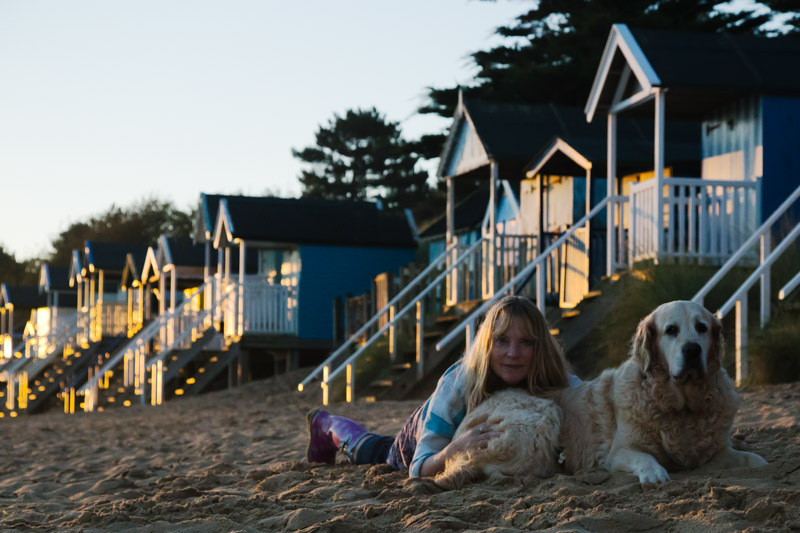 My two dogs, Taffy and Bella, came for the last day and then we had a lovely long weekend at Wells-next-the-sea. We came home on Monday and then I was off to Cheltenham Book Festival where lovely Sam Angus and I gave a talk on Animals in WWI. Today I’m taking Traffy to listen to children read at Cranfield Academy. PS Woke up this morning and thought of another busy bee after I put this up so had to take it down again for a few minutes – my friend Kath Bee who writes songs over in NZ and has just won an award for a song about dragons under her bed. PPS If I was a writing animal I think I might be a mole especially now I’m snuggled up in bed with a cold 🙂 What would you be?